Baker, William Spohn (1824-1897), Philadelphia, Pennsylvania. Author of Medallic Portraits of Washington. Baker was a Conveyancer, Collector of Art, Prints, Medals and Rare Books, Archaeologist, Author, Educator, Antiquarian, and Banker. authority in the United States on Washington and Washingtoniana. and is  survived by a daughter, Laura, wife of Henry Whelen, Jr.,  of Philadelphia. 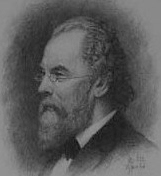 He was elected a member of the Historical Society of Pennsylvania April 28, 1873, and of its Council in 1885, and since 1892 one of its Vice-Presidents. of its Board of Managers and chairman of the important " Committee on Memorials." He was a member of the American Philosophical Society and served as it Curator; the Council of the Historical Society of Pennsylvania, and since 1885 has been vice-president of the Pennsylvania Academy of Fine Arts. He was also a member of the American Historical Association; the American Numismatic and Archaeological Society of New York; the New Jersey Historical Society; the Society of the War of 1812; the Colonial Society of Pennsylvania, of which he was a member of the Board of Managers ; the German Society ; and the Netherland Society, serving one term as President. He was also a director of the School of Design for Women from 1877 to 1881; in the Pennsylvania Academy of the Fine Arts he was a director from 1876 to 1890, and Vice-President from 1885 to 1890 ; a director of the Athenaeum of Philadelphia from 1888 to his death ; and a director of the Commercial National Bank. Mr. Baker possesses a collection of 1,100 engraved portraits of George Washington which is the most complete that is known, and his number of medals of Washington is second only to that of William S. Appleton, of Boston, while his collection of biographies of Washington is the most noted in existence comprised of over 500 books and pamphlets. He was a regular contributor of articles to Pennsylvania Magazine, and published fifteen books on engravers and engraving and GeorgeWashington and Washingtoniana. On September 8, 1897, he died at his residence on Arch Street, Philadelphia. Engraved Portraits of Washington With Notices of the Originals and Brief Biographical Sketches of the Painters (Philadelphia, Pennsylvania : Lindsay & Baker, 1880). Character Portraits of Washington as Delineated by Historians, Orators and Divines, Selected and Arranged in Chronological Order With Biographical Notes and References (Philadelphia, Pennsylvania : Robert M. Lindsay, 1887). Bibliotheca Washingtoniana : A Descriptive List of the Biographies and Biographical Sketches of George Washington(Philadelphia, Pennsylvania : Robert M. Lindsay, 1889). Early Sketches of George Washington, reprinted with Biographical and Bibliographical Notes. (Philadelphia, 1894). Remarks made June 18, 1894, by William Spohn Baker, Esq., in response to the toast "The Day we Celebrate," on the occasion of the visit to Fort Mifflin and the site of Fort Mercer, on the Delaware, by the Pennsylvania Society of the Sons of the Revolution. (Philadelphia, 1894). Address of William Spohn Baker, Esq., delivered November 9, 1895, on the occasion of dedicating the memorial stone erected by the Penn- sylvania Society of the Sons of the Revolution at Queen and Thirty-first Streets, Philadelphia, marking the site of the encampment of the Con- tinental army in August and September, 1777. (Philadelphia, 1896).